A cataract is a clouding of the natural crystalline focussing lens inside the eye. The lens initially hardens causing problems for fine focussing and eventually becomes cloudy causing blurring of vision. While early changes can be corrected with glasses, ultimately the cataract becomes “visually significant” when loss cannot be corrected with glasses or contact lenses. Cataract surgery is the most commonly performed surgical procedure world-wide. Evolving considerably in the last 50 years cataract surgery has become more predictable and safer than ever before. In particular in the last few years with the introduction of lasers to the procedure, the Victus Femtosecond Laser and now CAPSULaser the level of precision has improved. 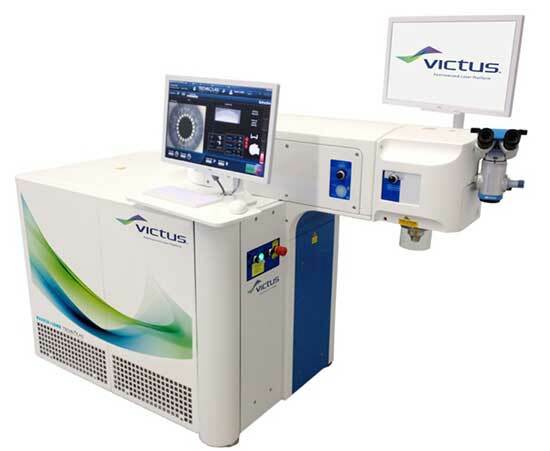 The FIRST Victus Femtosecond Laser was introduced to the UK by Centre for Sight in 2012 and more recently another laser CAPSULaser. Lasers used for Laser Refractive Lens Replacement (natural lens replacement) and Cataract Surgery takes the precision and reproducibility of surgery to a completely new level [REF 1]. Cataract surgery is performed as a Day Case operation and is the most common surgical procedure performed in the world. In the UK over 450,000 procedures are performed a year. The procedure is painless and involves only drop anaesthesia. It is rapid and conducted through a micro-incision (1.8mm). Through this incision the lens is fragmented and removed with remnants cleared up and a folded focussing implant is inserted in place of the cataract. The eye is patched overnight and drops are commenced the next day. 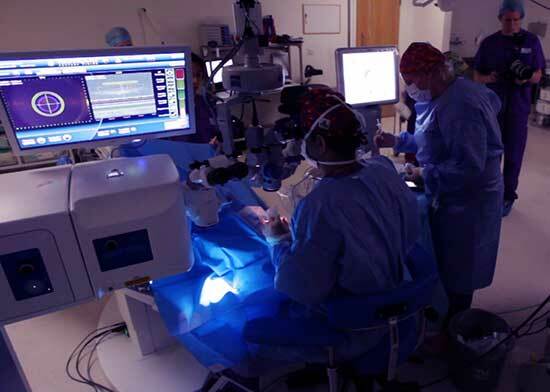 Visual recovery in most instances is very rapid with patients obtaining good vision within a day or two of surgery. One eye is usually operated on at a time, however both eyes in special circumstances can be operated on. All procedures are performed using Lasers (Victus Femtosecond laser or CAPSULaser) – no compromise. Also as a standard, extra measures are taken to optimise vision by performing “Refractive Laser Cataract Surgery.” The intention is to provide good unaided vision by making considerable efforts to accurately calculate lens power, correct astigmatism (using the laser or specially made lens implants) and where suitable use high performance trifocal lenses or multifocal lenses. To further enhance accuracy, online cross sectional microscopic imaging (OCT scan), a bit like an online MRI scan is used and guides the surgeon during the 30 second procedure! The world’s 3rd Victus laser was installed at Centre for Sight in April 2012. Centre for Sight is a reference site for the manufacturers of lasers for cataract surgery (Technolas Perfect Vision / Bausch and Lomb and CAPSULaser, Excellens). Visitors from the United States, Canada and Europe regularly visit the Centre to see 21st century cataract surgery in action and observe the unique manner in which we deliver the procedure . Innovative technique and new instrument invented at Centre for Sight! Surgeons at Centre for Sight devised an innovative method of lens removal using the Victus Femtosecond Laser demonstrating a statistically significant reduction in time taken to remove the cataract. Quicker removal is safer for the eye and causes less trauma and eye reaction. The technique named by Sheraz Daya the inventor is called “Translenticular Hydrodissection3” was presented at the European Society of Cataract Surgery, Milan 2012 and American Society of Cataract and Refractive Surgery (ASCRS) Chicago 2013 has received great acclaim by international surgeons. The video demonstrating the technique won an “Oscar” at the ASCRS film festival in 2013. The technique requires use of a device invented at Centre for Sight and developed in collaboration with Bausch + Lomb. The “Daya Trans-Lens Hydrodissection Cannula” is now commercially available from Bausch and Lomb. Use of all these lasers makes the operating theatre look like a scene out of Star Trek! Cataract surgery is performed when the lens cloudiness is bad enough to reduce best corrected vision to the level where driving is not safe and where the DVLA standard for driving is not met. This is the criteria used in the NHS and one accepted for billing through insurance companies. While early cataracts can interfere with visual quality, surgery can be performed and as not “medically necessary” would be called Laser Lens Replacement. This procedure is performed in many who wish to have vision correction surgery and eliminate or reduce the need for glasses. Patients must be in reasonably good health and be able to lie flat for 20 minutes. The purpose of the consultation is to perform a thorough evaluation to ensure that cataract is the sole cause of reduced vision and that there is no other problem with the eye like for instance Glaucoma or Age Related Macular Degeneration AMD . At the same time measurements and investigations are performed to determine whether a high performance lens is an option and if there is any astigmatism that needs to be corrected. Additionally several methods are used to evaluate the cornea and eye anatomy to ensure the choice of lens power is highly accurate. 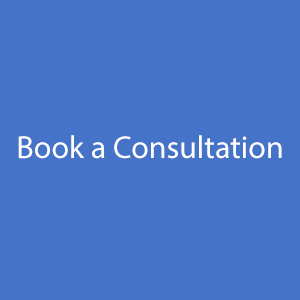 The consultation process is very detailed and can take up to 3 hours. Tests and investigations are performed by nurses, optometrists and technicians. You will be provided further information about the procedure and shown video animations. You will then be seen by a well experienced fellowship trained consultant who will evaluate your eyes and come to a final decision. 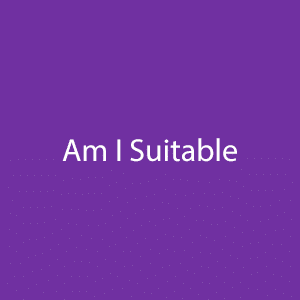 The consultant will inform you about your suitability and what options there are for lenses as well as explain the process further and expectation of outcomes following surgery. You will be provided with an informed consent. Usually one eye is treated at a time although in some cases both eyes can be treated on the same day. The procedure is performed as a Day Case operation and while the procedure only takes 15 minutes, prepare to spend 2 to 3 hours at the Centre. You will be instructed when to arrive at the centre. On arrival a series of checks will be conducted. Further investigations may be required to ensure absolute accuracy of the treatment plan. Your consent form will be checked and you will then receive dilating drops to expand your pupil so that the surgeon can have access to your cataract. The Surgeon may need to mark your eye before the actual procedure to ensure accurate placement of laser astigmatic limbal relaxing incision or a toric (astigmatic) lens. You will receive strong anaesthetic and antibiotic drops. You may have a small IV cannula placed so that the anaesthetist can give you intravenous sedation or you may receive an oral sedative. You will be wheeled into the theatre and then have to lie on the bed of the laser. More drops will be instilled and the surgeon will perform a series of pre-operative “flight checks” with the operating team. You will feel a little pressure of the suction ring that connects to the laser. You must hold still during this process where an online scan checks a series of measurements in your eye and determines where the laser treatment takes place. A beeping sound indicates the laser in action. The laser will create a perfectly circular opening in your lens, break the lens up into small fragments and if necessary create incisions to correct your astigmatism. Once the laser treatment is complete, the Surgeon will continue to remove the fragmented cataract and implant an intraocular lens. 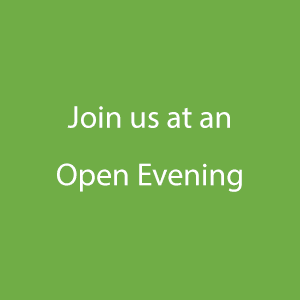 You will probably see a series of colours and flashing lights – enjoy the show! Once the procedure is complete, the Surgeon will inject antibiotic medication into the eye and ensure the eye is well sealed. You will have a patch and an eye shield placed on your eye. This will be removed the next day. After the procedure you will have some time to recover and then have a cup of tea or coffee and some sandwiches. You will be given a toiletry bag with your medications and instructions on their use. You will then be able to go home and we suggest you get plenty of rest that day. The next day, take off your shield and patch. Preserve the shield in case you are instructed to use this at bedtime. Commence your drops as instructed. You may have an appointment to be seen that day. If not someone will contact you from Centre for Sight to ensure you are making good progress. Visual recovery is often very rapid with patients obtaining excellent vision the day following surgery. Sometimes vision is blurred for one or two days and this might be the case if the cataract was particularly hard. If you have had a high performance lens like a trifocal lens implant, then you will find that you will be able to read. If you have had a monofocal lens, then you might need to get a temporary pair of off the shelf reading glasses. 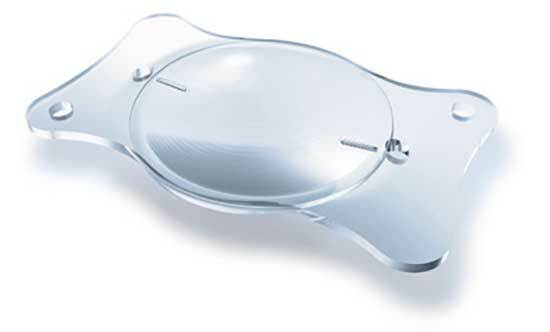 This is the most commonly used lens at Centre for Sight with more than 90% of patients opting for this type of implant. The advantage of this lens is it reliably provides correction of distance, intermediate and near vision, in other words a full depth of focus, eliminating or reducing the need for glasses. 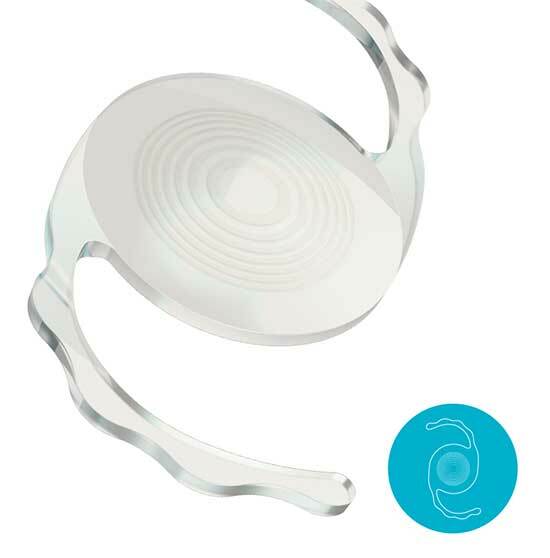 Suitability for the lens implant is determined at consultation when numerous tests including the optical properties of the cornea and tear film are evaluated.To work well, these high performance lenses require a cornea with good optical properties as well a surface free of dryness and no streaky tear film. 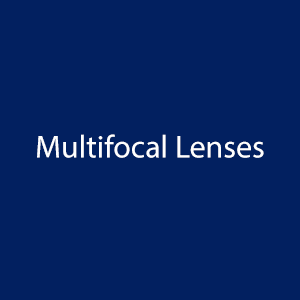 Expectations of how the lens performs will be provided during consultation. Patients must understand the concept of adaptation which involves the brain becoming accustomed to the new optical system and picking up new information. The lens has microscopic rings which provide near vision and as a consequence patients may well experience transient halos that disappear with adaptation. 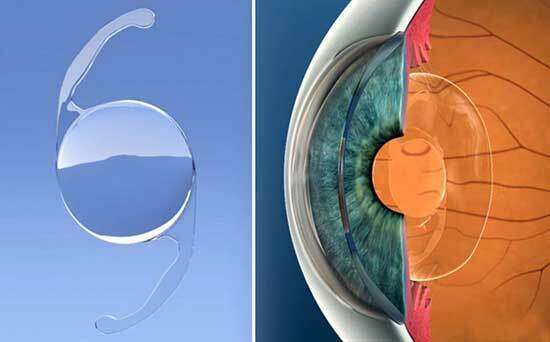 For those who have already had cataract surgery and were not lucky enough to have a trifocal lens, there is an option of adding in a trifocal lens implant on top of the existing lens. This is also available at primary cataract surgery.For instance if someone has Diabetes or macular degeneration, they may in time have a problem with the presence of a trifocal implant and may require removal. As an add-on lens placed on top of a monofocal, the lens can easily be removed from the eye. The single focus lens is used in the NHS and vision is geared for distance only which means recipients will in all probability require glasses for intermediate and near vision. This is a lens that has astigmatism built in to the implant and used in those with astigmatism on their cornea of above 1.25D. For those with less astigmatism, limbal relaxing incisions are at Centre for Sight performed using the laser employed in Laser cataract surgery. 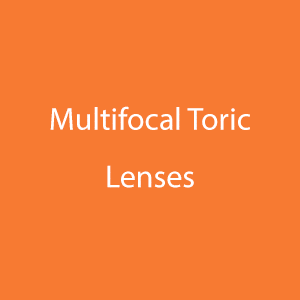 Toric lenses have to be specially ordered and sometimes need to be manufactured which can increase the lead time for surgery. 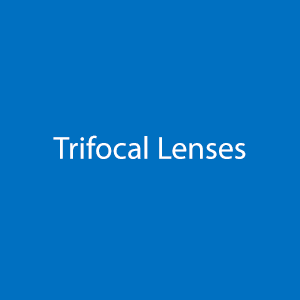 Toric lenses are available in combination with both Monofocal and Trifocal lenses. In patients who have glaucoma and are on eye drops, there is an option available that reduces or in many cases eliminates the need for glaucoma eye drops and tablets. Microscopic Incisional Glaucoma Surgery (MIGS) involves a microscopic stent which can be inserted at a specific location inside the eye at the time of cataract surgery. While this is more costly (the stent is a very sophisticated microscopic device), it is a great option for those who wish to reduce the number of eye drops or stop them altogether. Combining Cataract and MIGS surgery also enables safe use of Trifocal lenses where there is less concern about progression of glaucoma. Most cataracts develop slowly over time and affect people over age 50. About half of the U.K. population has a cataract by age 65, and nearly everyone over age 75 has at least a mild cataract in one or both eyes. In rare cases, infants can have congenital cataracts. These usually are related to the mother having German measles, chickenpox, or another infectious disease during pregnancy; but sometimes they are inherited. My grandfather had cataract surgery years ago, and he had to wear thick glasses afterward. Is this still necessary? Today rarely does anyone have to wear thick, heavy eyeglasses after cataract surgery these days. Most modern cataract procedures replace your eye's natural lens with an intraocular lens (IOL) that often can correct your distance vision to 20/20 without glasses or contact lenses. At Centre for Sight, we aim to correct vision without glasses at the time of cataract surgery – so called “Refractive Cataract Surgery “which involves the use of high performance Trifocal lenses. As with any surgery, pain, infection, swelling and bleeding are possible, but very few people experience serious cataract surgery complications. In most cases, complications or side effects from the procedure can be successfully managed with medication or a follow-up procedure. To reduce your risk for problems after cataract surgery, be sure to follow the instructions your surgeon gives you and report any unusual symptoms immediately. Is it possible for cataracts to grow back? Because a cataract is a clouding or "opacification" of the natural lens, and cataract surgery entails removal of the natural lens, a cataract cannot come back after surgery. What can happen in about 5% of patients is clouding of the membrane holding the lens implant. If this were to occur then a simple YAG laser capsulotomy could be used to make an opening in the lens capsule. The prices are an indication of usual charges. The information here is not complete and may be subject to change. Prices will increase in April 2019. Please read in conjunction with the Centre for Sight Terms and Conditions. The information here is not complete and may be subject to change. Please read in conjunction with the Centre for Sight Terms and Conditions. Centre for Sight has partnered with V12 Finance, to make the cost of cataract surgery remarkable care affordable. Natural Lens Replacement also known as Laser Lens Replacement and branded by some as Clarivu™ or NuVu is a process where the natural lens of the eye is replaced with a high performance lens implant to correct vision. 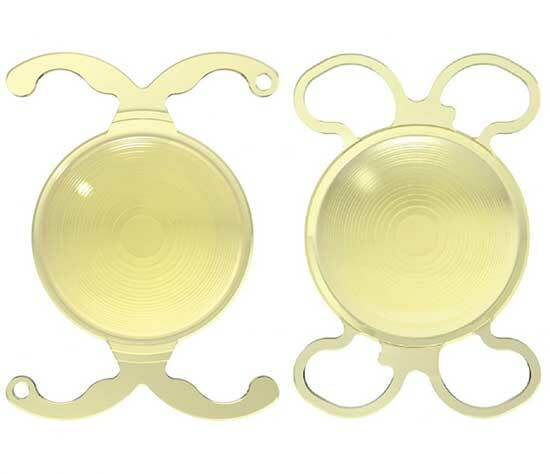 Use of these lenses such as the Trifocal lens, provides patients with spectacle independence*. *Note those who have Diabetes may not be suitable for permanent Trifocal lenses, however a there is an option now available for a trifocal easily removable piggy back lens Your consultant at Centre for Sight will discuss these options in more detail with you at consultation. Mr Daya is the Medical Director of Centre for Sight and listed amongst the 100 most influential ophthalmologists in the world ( https://theophthalmologist.com/power-list/2018/sheraz-daya/) and the Daily Mail’s Good Surgeon Guide as among UK’s best cataract surgeons (https://www.dailymail.co.uk/news/article-5796781/Meet-best-cataract-surgeons-Britain-learn-treatments-used-improve-sight.html) .